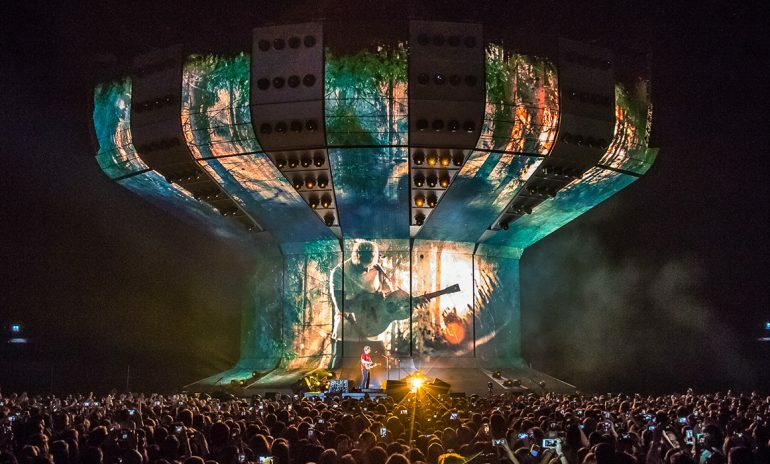 The first thing we put together for Ed fit into the back of a truck; we started literally with next to nothing and built up from there.” So says produc-tion and lighting designer Mark Cunniffe, who has been working with Ed Sheeran and his production manager/front-of-house sound engineer, Chris Marsh, since 2010. Together, they make up the creative team of the current Divide Tour. 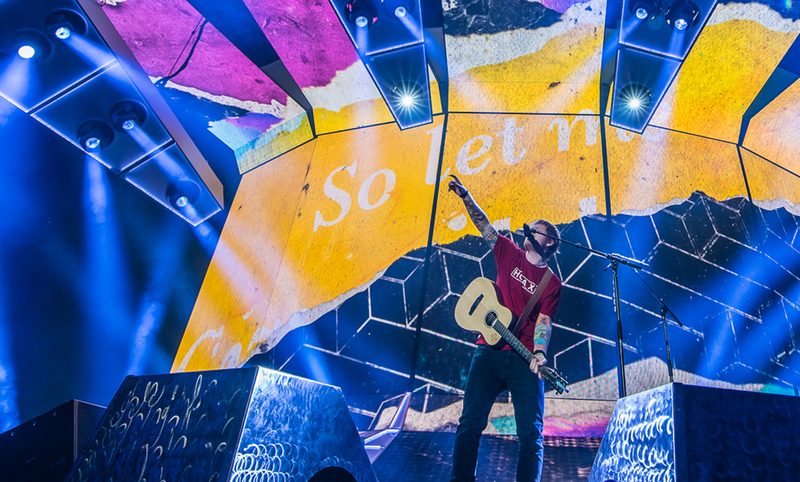 Sheeran has been touring consistently since then, although he did spend 2016 in the studio. “The shows have been getting bigger and bigger as his show progressed,” Cunniffe adds.